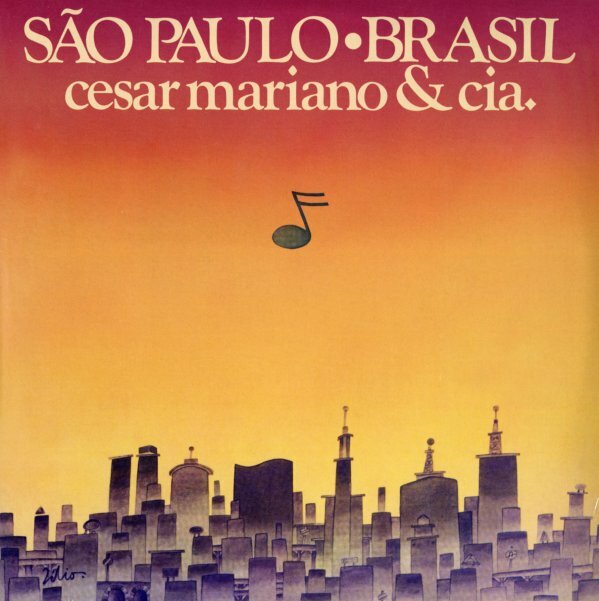 A fantastic bit of funky fusion from Brazil – one of the most hard-hitting albums we've ever heard from keyboardist Cesar Mariano! Mariano had a long legacy in music that included great arrangements for Elis Regina – but this set is completely different than most of his other work – almost in a CTI Records sort of vein, as if Mariano were trying to follow the mode of his contemporary Deodato – but with a stronger current of Brazilian jazz, especially all of the complexity that was coming into that music at the time. Most of the instrumentation is electric – with a great mix of guitars, bass, and keyboards – but there's also nice use of acoustic bass and piano – for a groove that's both funky, but also touched with strong elements of Brazilian jazz. Titles include the cool funky track "Metropole", the break cut "Fabrica", and the mellow groover "Imigrantes" – as well as the tunes "Metro", "Litoral", and "Futebol De Bar". © 1996-2019, Dusty Groove, Inc.